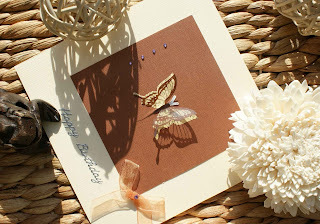 This beautiful birthday card is also quite easy to make. Just the right materials and of course the right design and away you go!! Take white card 15cm x 30cm and fold it in half. Take a yellow card paper (size 15cm x 15cm) and using double sided tape attach it to the white card. 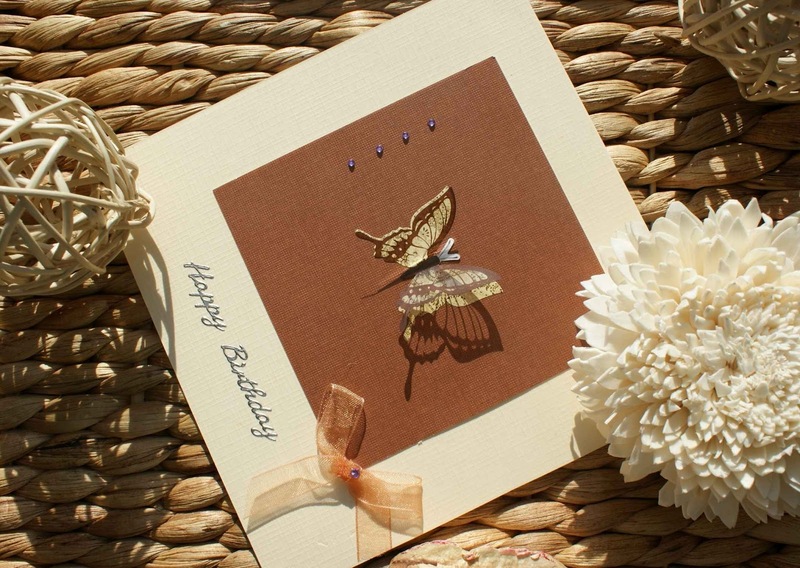 Attach brown card (10cm x 10cm) to the yellow card and then the butterfly to the brown card paper. Tie a bow and using a foam pad attach it to the corner of the brown paper. 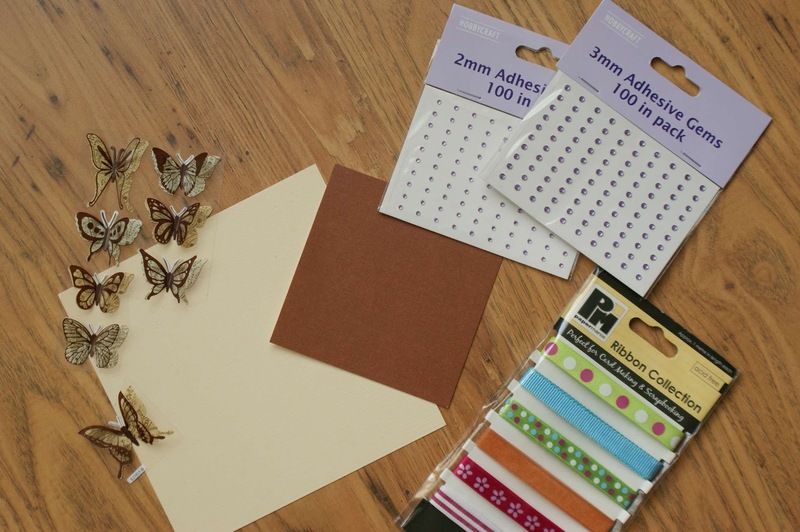 Attach 3mm purple gem to the bow and 4 purple gems (size 2mm) to the left of the butterfly. Add “Happy Birthday” sticker to the card. It doesn't have to be a happy birthday sticker of course...but you knew that! I guess you end it all by taking pretty pictures of the cards and displaying them for all to see. Anyway, I hope you like the design, please feel free to ask me any questions and leave your comments on the link below. I look forward to finding out what you think.